If your drain is blocked, it might be a small job to unclog a blocked drain which takes 30 minutes or so if the cause is light materials, like toilet paper. 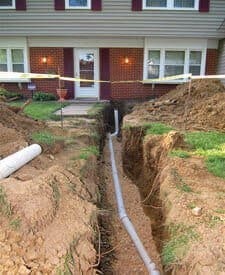 In more serious cases your drain may be blocked because of tree roots or problems with the lines. Call us today and we will help you quickly and at an affordable price.